With the industry's lowest vibration, highest removal rate and most efficient onboard dust extraction in its class, Bosch's ROS65VC-6 6 in. Variable Speed Random Orbit Sander with Vibration Control increases user productivity while helping to protect the user from vibration and dust. Offering a high level of versatility, the ROS65VC-6 comes equipped with a 6 in. (6 hole) sanding pad, but also accepts and can be fitted with a 5 in. (8 hole) sanding pad. 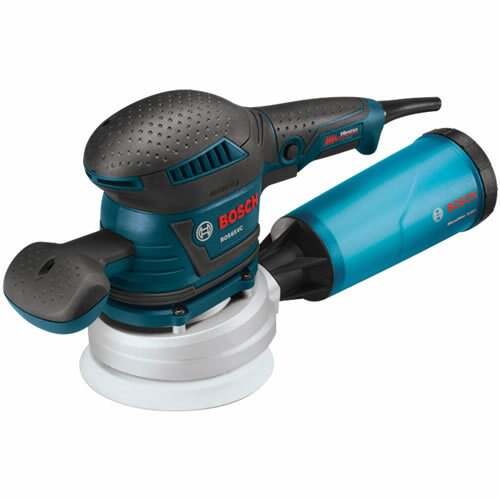 Designed with both comfort and power in mind, the ROS65VC-6 Random Orbit Sander offers the versatility and control needed for many sanding and polishing applications for both hobbyist and professionals.